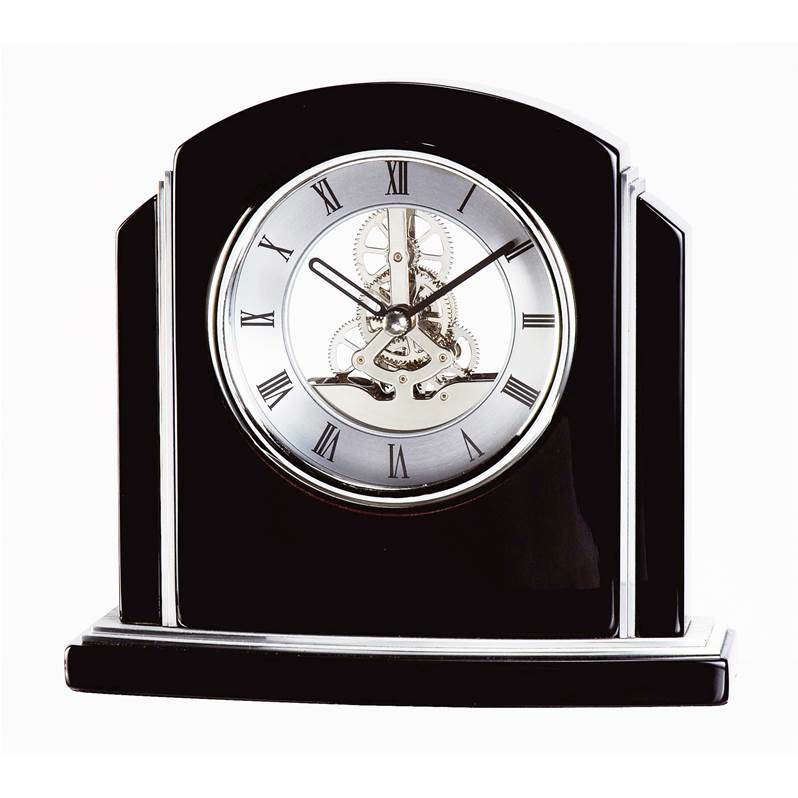 Art deco skeleton mantel clock in glossy black piano finish, with chrome plated movement. Finishing parts on the case are satin chrome finish. 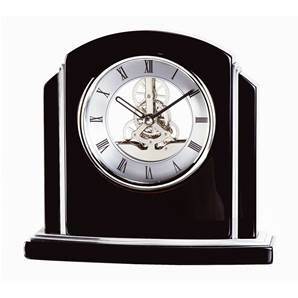 This stylish clock will look great on any shelf or mantelpiece.